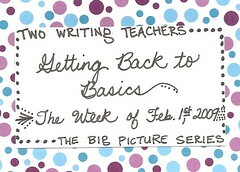 This is the fifth of seven pieces in this week's Big Picture Series, "Back to Basics"
Katherine Bomer said, “Writing celebration is the most important part of the writing process” (TCRWP Key Note Address, 7/8/08). Bomer suggests that this is because every writer writes for the purpose of having someone listen to what they’ve written. Therefore, when students share their writing with their peers at the end of a writing Workshop, this allows them to be listening to and to have someone respond to what they wrote, which is often at the center of who they are as a person. •	Publishing Parties: Inviting students from younger grades provides your students with a chance to have their voice heard. While Author Chairs are a lovely way to provide students with a larger, captive audience, children feel they become mundane when that’s the only format in which they share their writing. Therefore, another option is pairing students (the author from your class and a listener from a younger grade) together. After the listener hears the reader’s writing, the reader invites feedback, positive or negative, verbally. Next, the listener takes the time to write his/her comments or constructive feedback (Even first graders can be taught to do this!) on the writer’s comment sheet, which is housed in the same place as his/her published piece. Comment forms like this can help you to notice what other people perceive a child did well and what s/he needs to work on as a writer. •	Morning Meeting: If you use some type of meeting to start the school day (ex: You use the Responsive Classroom Method), then you can certainly have students share their notebook writing or original poetry during Morning Meeting Share time. This not only gives children the chance to share a personal story, but it encourages them to share their everyday writing, what we call Slice of Life Notebook Entries, with their peers. • End-of-Workshop Shares: Leah Mermelstein (Don’t Forget to Share: The Crucial Last Step in the Writing Workshop) provides teachers with four types of share sessions that can be used at the end of Workshop time. Craft, Content, Process, and Progress Shares differ in their approaches, but all honor and reinforce the accomplishments of young writers, thereby celebrating their work within the classroom writing community daily. recently, I set up blogs for each of my sixth graders. This has proven to be an excellent way to immediately share their writing. We use the blogs for many purposes, including leaving feedback for each other to aid in the revision process. 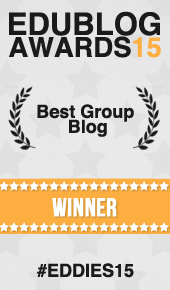 We still find opportunities to share in the classroom, but the blogs provide an immediate audience for everyone.